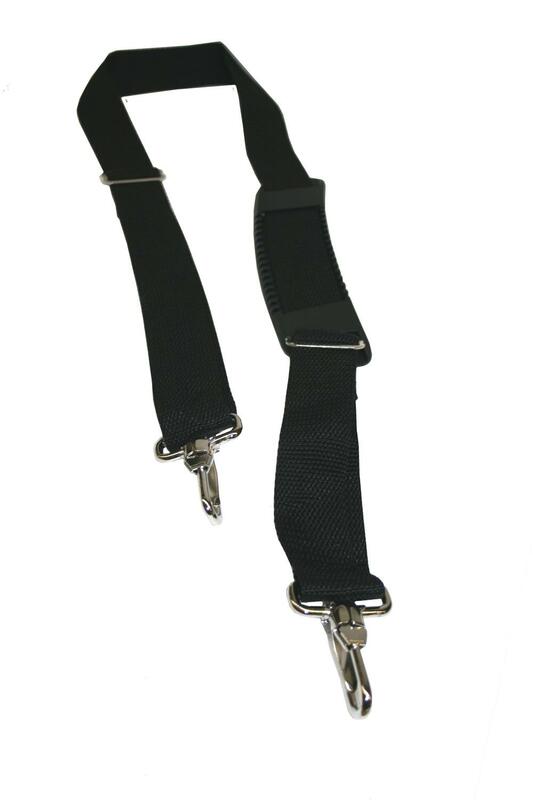 Oversized snap hooks have built-in safety to prevent accidental release. 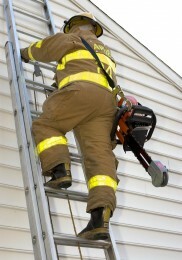 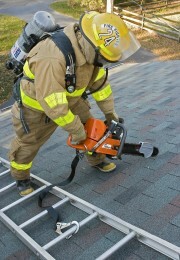 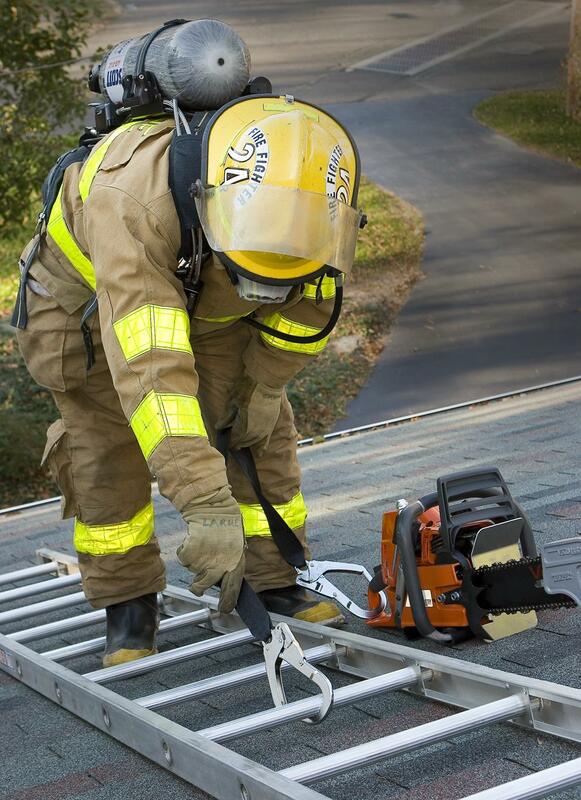 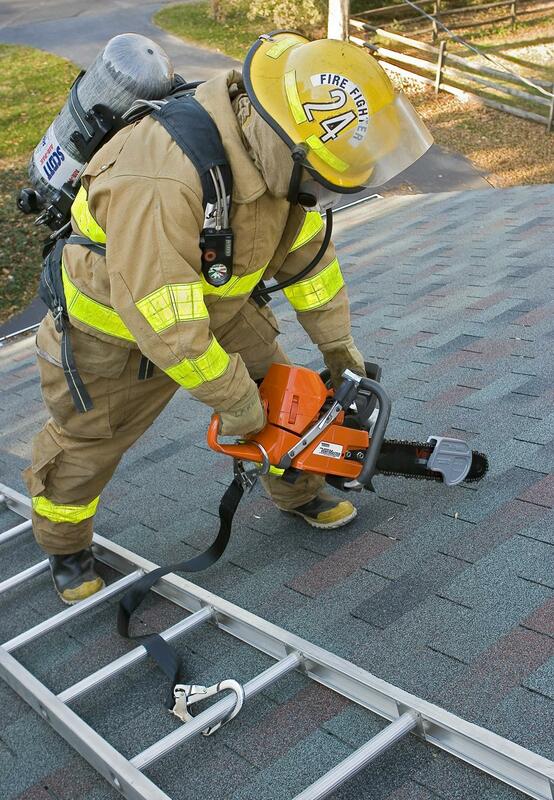 Designed for quick hands-free transport of ventilation saws to roofs, the Multi-carry Strap can then safely secure the saw to roof ladder when not in use, preventing equipment from sliding off roof and striking personnel below. 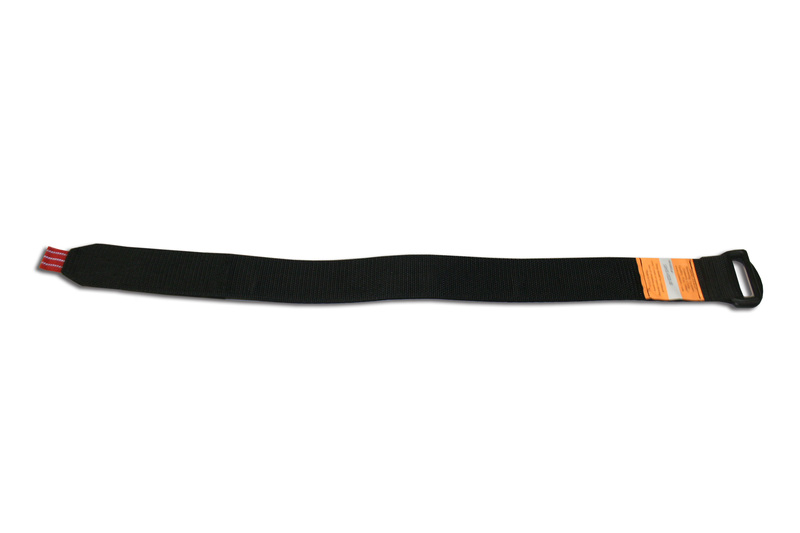 Strap can also be used by RIT teams to remove downed firemen, and transport tools/equipment.